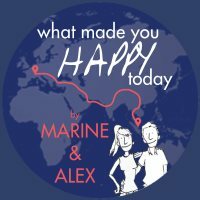 The Maldives and one last sip of sea – March 23rd to 29th 2017 – What Made You Happy Today? And even if I once dreamt about the marvelous beaches over there, I also knew the recent decision (2014) of the government to accept death penalty for children… For this reason, I had decided to boycott this country for any beach holidays. But here we were, going there as a side effect of our cruising break. So we could experience Maldives by ourselves. Our first contact with Maldives was not so good. We disembarked in Male, the capital, and decided to have a walk around in the streets. We noticed that Maldivian people stared at us but did not answer to our smiles and even to our “hello”. Only two people smiled back at us during our whole walk. Not very promising… Overall we thought people in the Maldives were not very happy. And we could not stay a long time enough to really evaluate the situation. The only people we talked to looked quite amorphous and we could not manage to meet a Maldivian guy with who we could have had a proper discussion about the situation of the country and its people. I guess even if you are a backpacker there, you just look like any other well off tourist that arrives in Male for a few hours before heading to luxury resorts and beaches in the atolls around. And sorry for that but unlike the other tourists, we do not have any picture of a paradise beach! Because we did not go there! It was super expensive to go by speed boat to the atolls, and even more expensive to sleep there. The only other solution was to take an inexpensive ferry to some nice beaches not so far. But there was only one ferry by day and we did not want to miss the chance to get back on the boat. No way we would get stuck in an island on the other side of the Arabian sea! After our short experience in the Maldives, far from the heaven one can imagine, we were back on the cruise ship, ready to finally cross the Arabian sea. The journey lasted three days. Three days and 2000 kilometers during which we would look around us and see only sea sea sea at 360°. Ah and we forgot to tell you we had an electricity breakout one morning in Male. Something broke in the machinery and it took a few hours to repair it. No electricity means the rooms only had a small light, air conditioning was off, and elevators were out of service. It was starting to get quite hot on board and Alex and I wondered what happens when they don’t manage to fix such a failure. A friendly retired French man told us that it happened once in the middle of the Indian Ocean, and people were stuck there for three days with no electricity! Hopefully in our case electricity came back for lunch, and Costa even offered us a bottle of wine for the dinner as a “Sorry for the inconvenience caused”! During the three days we spent in the sea between the Maldives and Oman, we thought about this story. We thought about what would happen if we were lost in the middle of the sea with only stars as travel companions. This cruise experience in our trip proved distracting. After eight months travelling without a fixed plan, with our big backpacks and regularly looking for food and accommodation, staying on this shiny boat with a comfy bed, food on the go, and retired people in bikini was a reverse cultural shock! Nous venons de visionner votre parcours sur votre site . Nous espérons que tout se poursuit pour le mieux pour vous deux . 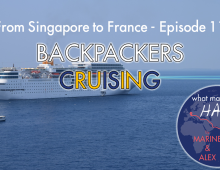 Nous avons une croisière Costa de prévue au départ et retour à Singapour. 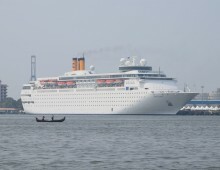 Nous avons l’intention de prolonger cette croisière par un séjour de quelques jours sur place à Singapour. Pourriez vous nous conseiller un hôtel 4 ou 5 étoiles au coeur de Singapour afin de pouvoir visiter facilement cette ville et pourquoi pas les sites à ne pas manquer. Nous avons un très bon souvenir de notre rencontre avec vous deux et peut être que un jours nos chemins se recroiseront . En attendant de vos nouvelles nous vous embrassons et nous vous souhaitons plein de projets et réussites. Bonjour Fabienne et Michel ! Merci pour votre message et quel plaisir d’avoir de vos nouvelles ! Une belle croisière en perspective ! 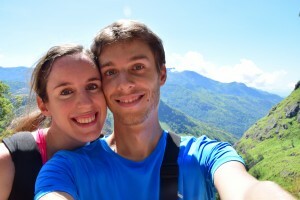 Nous vous répondons par email au sujet des visites et des hôtels à Singapour.